Blue is Sapphire’s main color. This color, which is strongly associated with sapphire, is also linked to emotions such as sympathy and harmony, friendship and loyalty. Sapphire symbolizes loyalty and faithfulness, while at the same time expressing love and yearning. The most famous musical example for this melancholic shade of blue can be found in George Gershwin’s "Rhapsody in Blue". 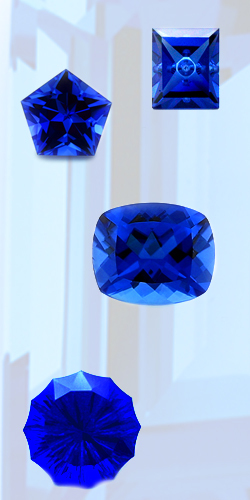 Sapphire’s blue color is also evoked where clear competence and controlled brainwork are the issue. After all, the first computer ever to wrangle a victory from a chess grandmaster and world champion was named "Deep Blue". Sapphire blue has thus become a color related to anything permanent and reliable, and this is one of the reasons why women in many countries settle on Sapphire for their engagement rings. To inquire about pricing, shipping rates or any other information you need about Lab Created Blue Sapphire please email us at sales@andegem.com .